Georgia law prohibits loans that are valued at $3,000 or less. Additionally, lenders may not exceed an APR of 16% per loan issued. A payday lender may charge 16% APR if it loans money directly to its consumers and only then if the in-state lender holds more than a 50% interest in the revenues from the loan. Borrowers are allowed to have only one outstanding loan at a time. 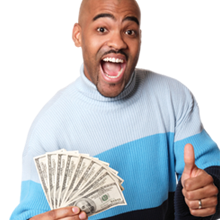 Cash advance stores can charge 15% of the check’s face amount, however charges may not exceed $45.